We offer high quality Brightness Tester. We manufacture our Brightness Tester by using the most top quality raw material and by employing sophisticated technology. 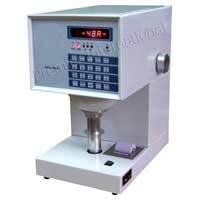 The Brightness Tester offered by us is known for its robust construction and superior design. Our Brightness Tester are available at very reasonable rates. We offer Photovolt Type Brightness Tester for electronically measuring and digitally presenting the Brightness, Opacity and Gloss of the paper and other similar material by angular reflectance (Photovolt Type). It is made with imported optical raw material. 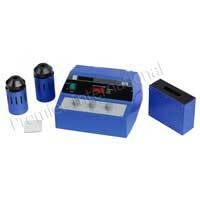 We manufacture and supply highly efficient ISO Type Brightness Tester. Our product is made from first grade raw material. We offer our ISO Type Brightness Tester at very reasonable rates.